Scientists at Stanford have just discovered the greenest source of energy yet — harvesting electricity directly from plants! They’ve successfully collected energy from photosynthetic processes in algae by tapping straight into currents of electrons generated at the cellular level. We know that cars can run on bio-fuel made from algae, but imagine if our power grid could run on pond water in its natural state. No refinement is necessary – all you need is a pool of water, a bunch of the green stuff and a high-tech gold electrode. Best of all, the only by-products are protons and oxygen! When a plant goes through photosynthesis, the chloroplasts in the plant cells split H2O cells into oxygen, protons and electrons. After this split, light energy from the sun zaps the protons into high gear and the electrons then speed through the cell dolling out their energy to proteins that use it to create sugars. During the Stanford experiment, researchers were able to intercept the electrons before they went on their high speed jaunt. They used a tiny gold electrode placed inside the membrane of an algae cell to collect the electrons. Now that’s a sophisticated heist. So far researchers have only had success on the cellular level, and each cell provides a relatively tiny amount of energy. To fill an AA battery you’d need a trillion cells practicing photosynthesis for one hour — that’s a lot of cells for a little bit of juice. WonHyoung Ryu, the lead author of the research paper, noted that this is just the first step in a long line of experiments in harvesting energy from plants. These scientists were the first to harvest electrons from plant cells and with more experiments the outcome can only get better. 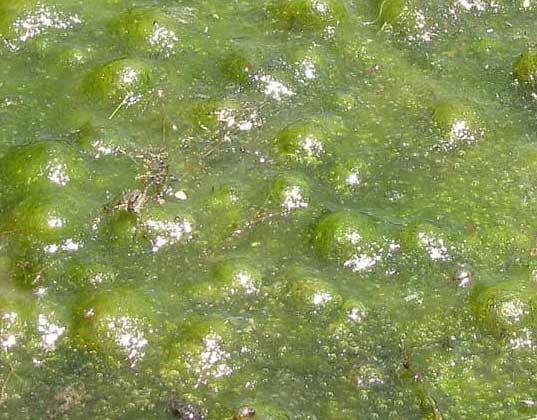 Is it possible to only use thylakoids, instead of the whole algae cell? The only problem with that is if we cannot grow thylakoids as efficiently as growing whole cells. Nice idea! I like it. But dear tell me, if we snap electrons before they can enter the cell, won't the algae cell die? i think its great that we're finding other ways to generate energy in a eco-friendly way. i think more americans and people all over the world should start taking these other sources of energy into consideration before its too late and we run out of oil and coal and the whole world goes into chaos. its nice that we have oil and stuff but think about what its doing to the earth like our ozone layer. and what if we run out of oil ( which i know will happen ) what are we going to do next....think about people. Scientists at Stanford have just discovered the greenest source of energy yet -- harvesting electricity directly from plants! They've successfully collected energy from photosynthetic processes in algae by tapping straight into currents of electrons generated at the cellular level. We know that cars can run on bio-fuel made from algae, but imagine if our power grid could run on pond water in its natural state. No refinement is necessary - all you need is a pool of water, a bunch of the green stuff and a high-tech gold electrode. Best of all, the only by-products are protons and oxygen!